Raid your drawers, trinket pots and coat pockets! 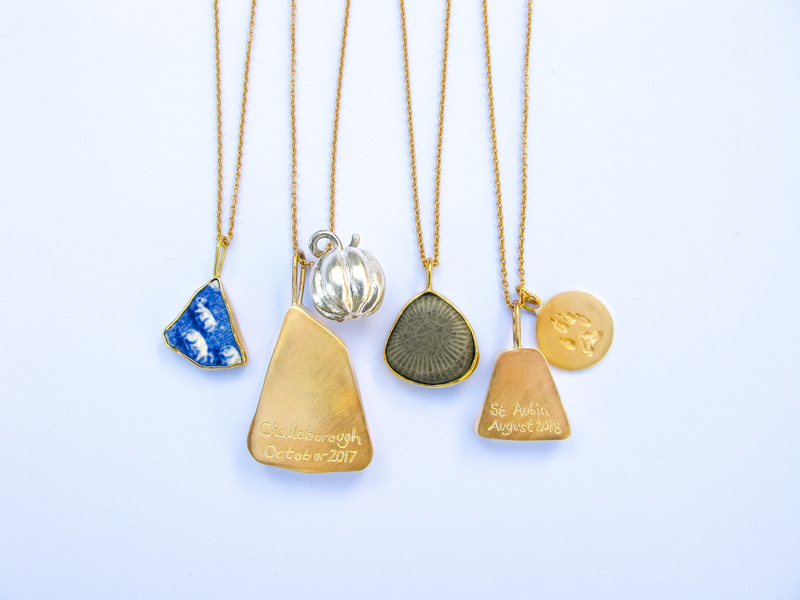 Do you have a precious shell from a favourite beach, a small china fragment you found in your grandma's garden, or a lock of hair from someone cherished? Have you always wanted to do something with them, but never known where to begin? 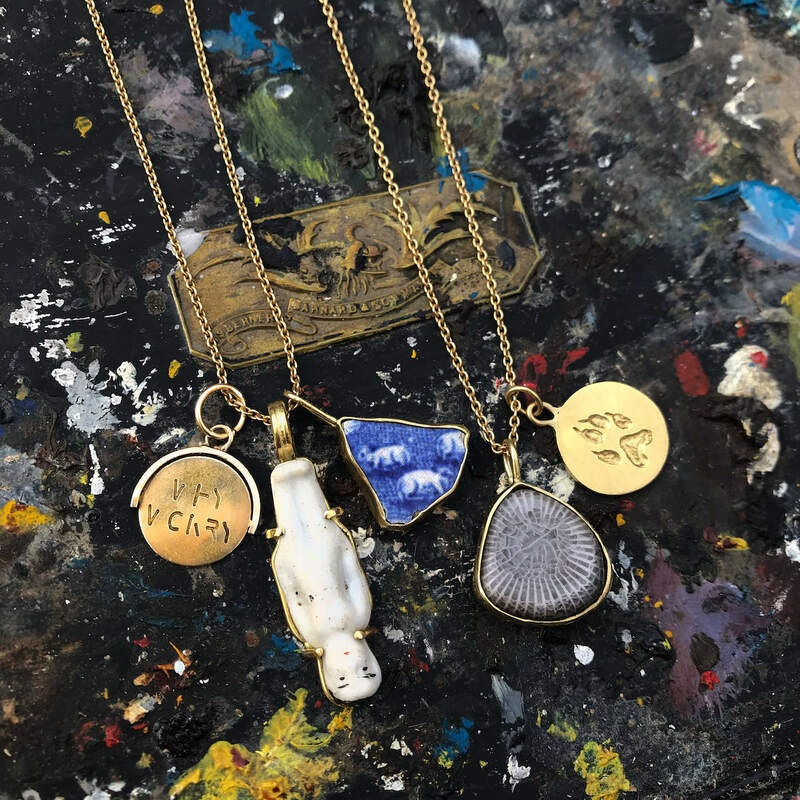 Bring a handful of your favourite found objects and interesting oddments to this fun and challenging weekend to learn how to turn them into talismans you can wear. The aim of the weekend is to come away with a handmade charm necklace in sterling silver which is personal to you. 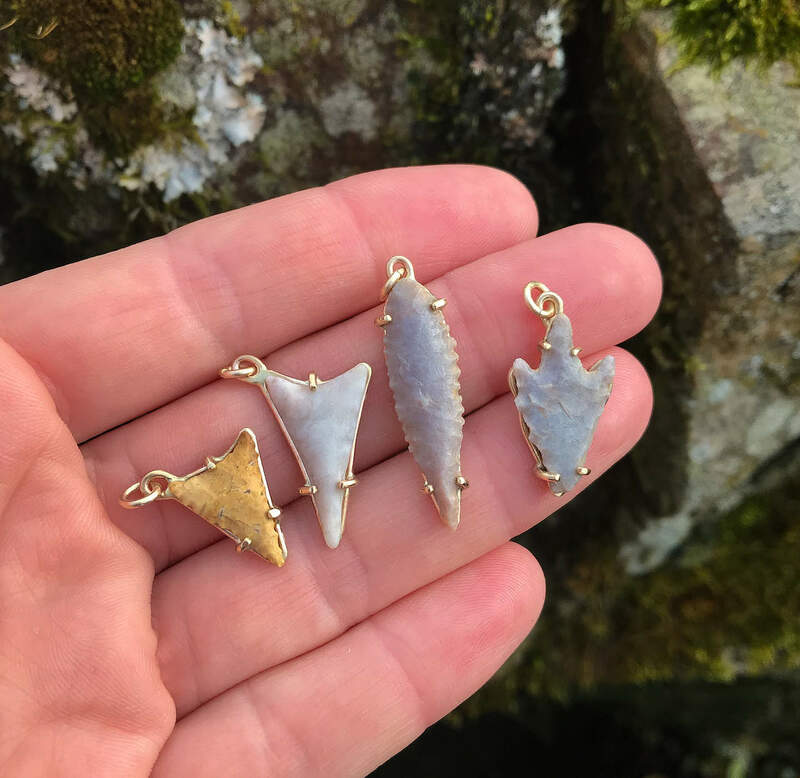 We will be working with sterling silver sheet, wire and chain to learn fundamental techniques of jewellery-making and silversmithing; including forming, soldering, finishing and basic setting. Suitable for beginners and also those with a little prior experience. Please bring a selection of small found objects of your own to work with. These can include (but are not limited to) beachglass, china fragments, shells, bones, feathers, beads, small fossils, teeth, coins, pebbles, cogs, screws, locks of hair, scraps of fabric ... anything you have which is precious to you! Hannah has always been obsessed with jewellery in one way or another. From the age of five she had a particular weakness for large, transparent, and very gaudy plastic jewellery, and collected antique cut-glass drops from broken chandeliers. Originally from Yorkshire, Hannah now lives in rural Weardale in Country Durham, where she works from home in a small garden studio with views over the surrounding countryside to the moorland beyond. 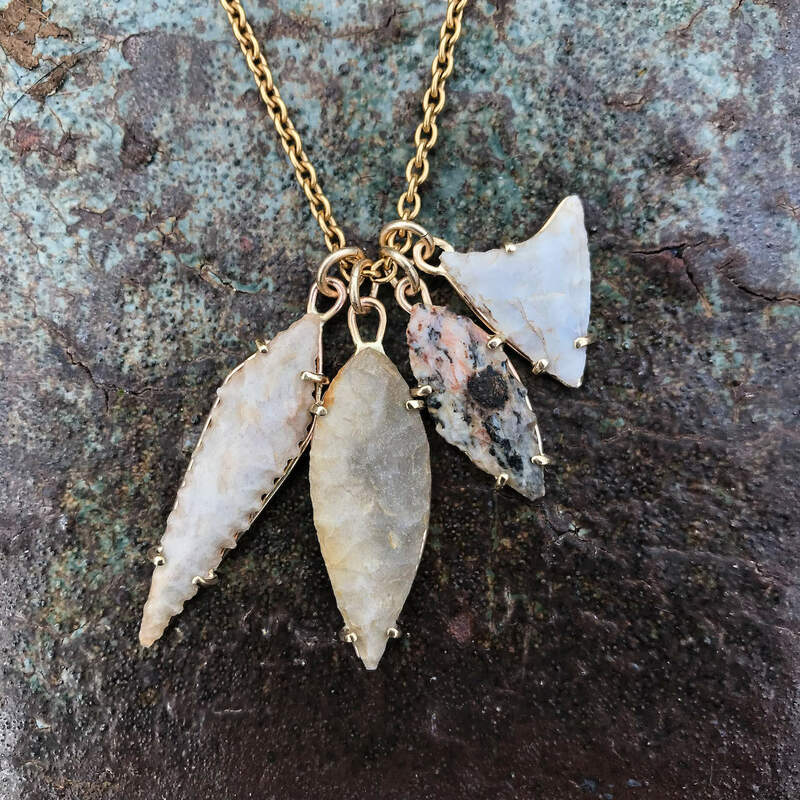 She eschews modern technology such as rapid prototyping and electroforming, and instead her work is completely handmade using ancient goldsmithing techniques which have remained unchanged for millennia, such as forging, filing, planishing and traditional stonesetting. Hannah’s particular areas of interest are ancient rings, the social and cultural history of jewellery as talisman and amulet, and the use of symbolism for storytelling and commemoration within a jewellery and metalworking context. Whilst she is mostly a self-taught, Hannah learned the basics at Leeds College of Art, the Mid Cornwall School of Jewellery and West Dean College. Since establishing her own studio in Weardale in 2016, she now teaches One-Day Beginners' courses and hosts private Make Your Own Wedding Rings workshops. Hannah works predominantly to commission. She has shown her work at The Harley Gallery, Salts Mill, and the Zillah Bell Gallery. She has also won commissions from BALTIC, Durham Cathedral and, most recently, The Bowes Museum.